Union Market is stepping up their game with new vibes and affordable options for your between-class cravings. 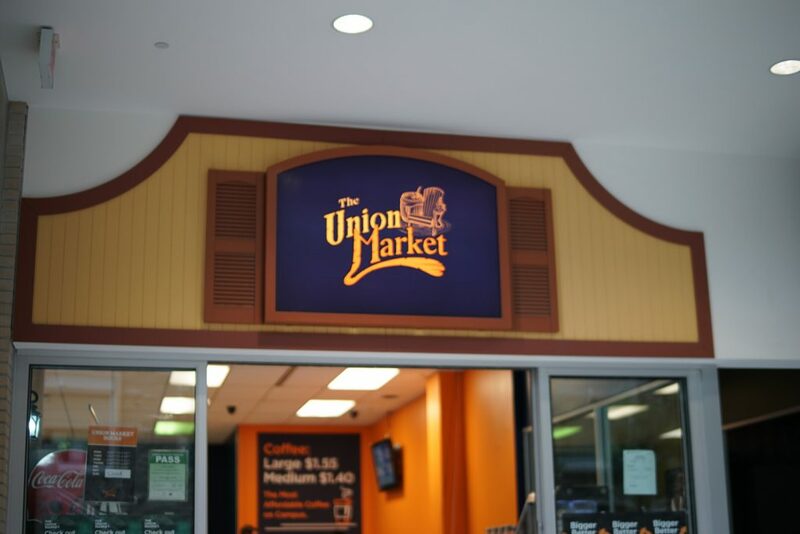 Operated entirely by MSU members, Union Market has sold bagels, coffee, snacks and cold drinks at the lowest prices on campus since it opened in 2002. Since May 1, the Market has seen some major changes. From a new paint job, a soon-to-be new front of house vinyl logo and introducing bigger, better bagels, McMaster’s favourite on-campus market is freshening up their look. Jeffrey Campana, Union Market’s Manager, says that the store needed a new vibe to keep up with customers’ interests. These changes seem to be working, as sales have been higher over the past few months in comparison to previous years. Revenue for May 2018 was up 7.1 per cent since May 2017 and revenue for July 2018 has increased by 18.5 per cent from July 2017. Campana says that these changes have also come into effect from a pressure to have healthier food options on campus. Union Market has since introduced a real food bar line and will be tracking its progress over the coming months. They have also upgraded their bagels, that were previously met with outrage from customers after their suppliers, the Great Canadian Bagel, had shut down. In addition to all of the major changes the store has seen since May, UM has also introduced dozens of new products, including 1280 sandwiches, Goldfish crackers, La Croix sparkling water, avocados, filled Cliff Bars and almond milk to ensure a wider range of products for customers. Behind the scenes, Union Market’s student opportunity position has switched to a part time manager position. This ultimately reduces labour costs, cutting the full time position and hiring a student into the part-time role. They have also recently signed a three year contract with Pepsi, which will take effect on August 3 after this past year of serving both Coca-Cola and Pepsi beverages. This contract will ultimately add more options for cold beverages at Union Market and serves as a more financially viable option for the MSU. With success in their recent changes, Union Market is expecting to keep things fresh with several new features, which will be announced over the next few months.